Cade tree is very variable in shape, forming a spreading shrub 2–3 m tall to a small erect tree 10–15 m tall. It has needle-like leaves in whorls of three; the leaves are green, 5–20 mm long and 1–2 mm broad, with a double white stomatal band (split by a green midrib) on the inner surface. It is usually dioeciously, with separate male and female plants. The oil is resinous, a darkish brown color, and has a strange wary smell which is even caustic and tar-like (not surprisingly, as creosol forms the main constituent of creosote). The principal constituents: phenols (creosol, guaiacol), sesquiterpenes (cadinene) and terpenes. The only methods of extracting essential oils are through steam distillation and expression. the composition of essential oils is typically complicated and requires much understanding. Each essential oil is made up of numerous different organic molecules. What gives every essential oil its uniqueness is not just one of its constituents, but the whole, delicate and complex admixture. The individual perfume of each oil depends on this balance; the therapeutic value of each oil depends on it too. It is the number of constituents of oil which make it almost impossible to reproduce exactly with synthetic ingredients. The reaction between these constituents and their component molecules gives the oil its therapeutic value, which is why man-made imitations never have the same power to heal as their natural counterparts. Cade Essential oils are very toxic, particularly to vulnerable people like the old, the very young, and pregnant women. On the whole, this toxicity of essential oils applies to an oil when taken internally, which is something I am passionately against. Certain of these toxins in certain oils can be dangerous when applied externally (or inhaled), and I have given clear warnings where necessary throughout the book. In many cases, though, because of a balance of constituents in the oil, or because of a balance of more than one essential oil in a remedy (or even just because of the calming influence of a certain carrier oil), the oil can still be used safely. It is usually only when potentially dangerous oils are used in too large quantities that the dangers become a reality and for this reason the proportions of essential oils recommended must be respected. One must remember that one little drop of an essential oil represents between 25 and 35 g (1 and 1 1/4 oz) of the plant itself. Proportion is the key to everything. 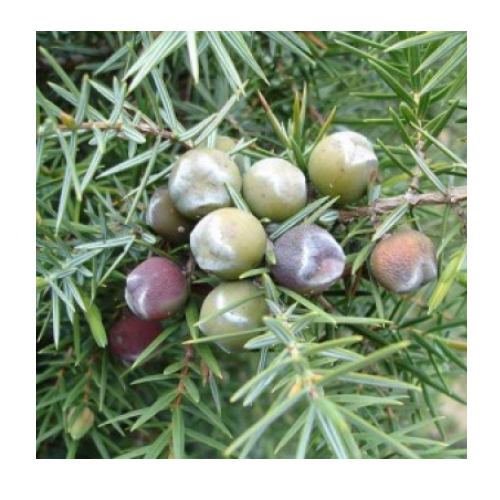 Cade oil is the essential oil obtained through destructive distillation of the wood of this shrub. It is dark, aromatic oil with a strong smoky smell which is used in some cosmetics and (traditional) skin treatment drugs, as well as incense. Cade oil should not be used on broken or inflamed skin. Use with caution on face, skin flexures or on genital organs. In case of spontaneous vomiting, be sure that vomit can freely drain because of danger of suffocation. Only when conscious, rinse mouth with plenty of water and give plenty of water to drink - (approx 500ml). Obtain medical attention if adverse symptoms occur. SKIN: Wash affected area with plenty of soap and water.